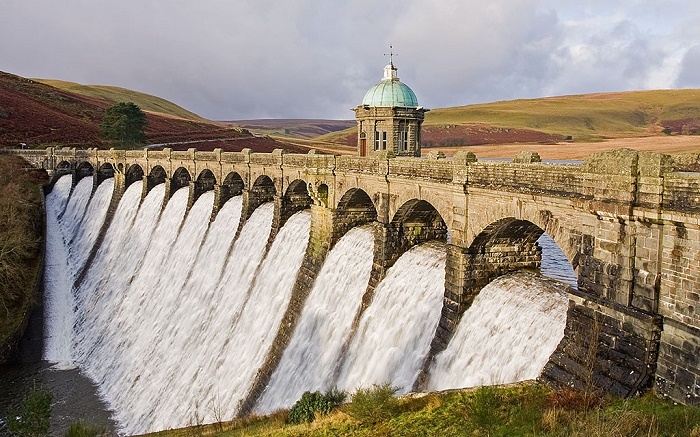 The Elan Valley Reservoirs are a series of impressive man-made lakes which were created from damming the rivers of Elan and Claerwen, and they are located in the central part of Wales, within the United Kingdom of Great Britain and Northern Ireland. 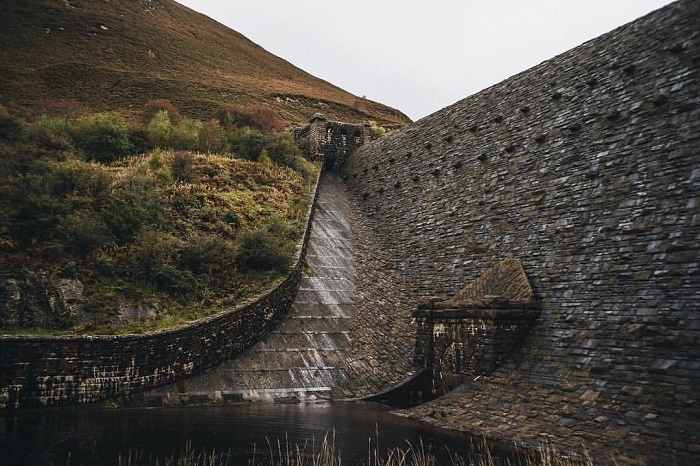 Built in 1893 by the Birmingham Corporation Water Department, the maximum length is measured to be 6 km (4 mi), the maximum width 0.5 km (0.3 mi), and the maximum measured depth 56 meters (184 feet). 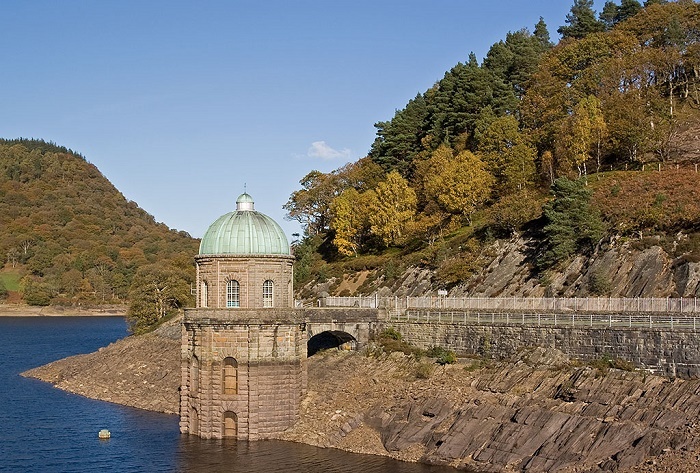 In total there are 6 dams that create this chain of reservoirs which provide clean drinking water for Birmingham in the West Midlands of England, and the five lakes are known as the Claerwen, Craig-goch, Pen-y-garreg, Garreg-ddu, and Caban-coch. 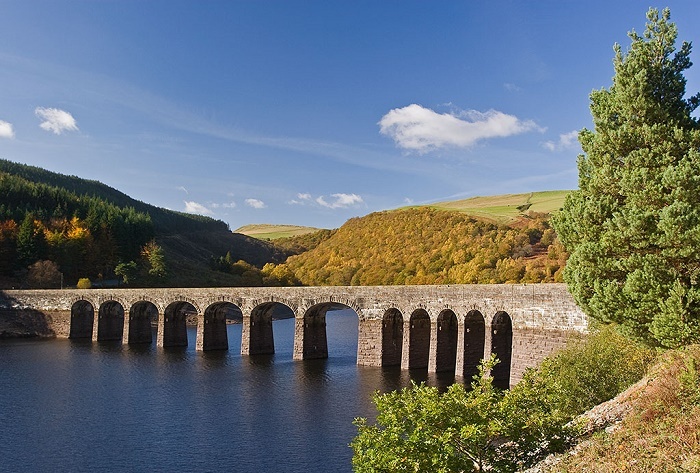 Considered to be the biggest draw to Elan Valley, plenty of people are allured to get here in order to spend some time walking, cycling, photographing and the most important one, enjoying the amazing Welsh nature created by the humas. 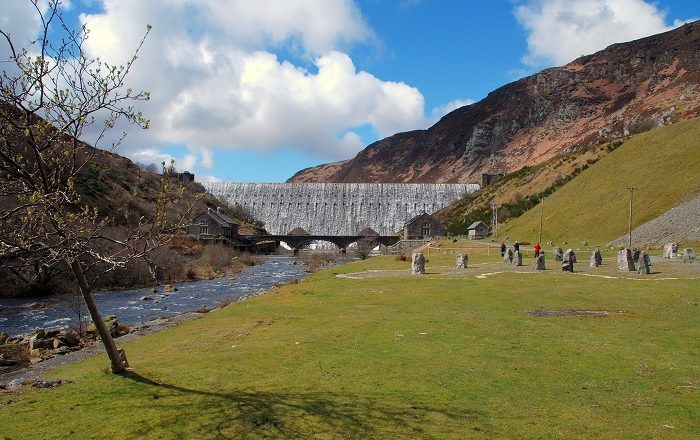 There are four dams on the River Elan: Craig-goch, Pen-y-garreg, Garreg-ddu, and Caban-coch, where the River Claerwen has the newest, and largest Claerwen Dam followed by the unfinished Dol-y-mynach dam. 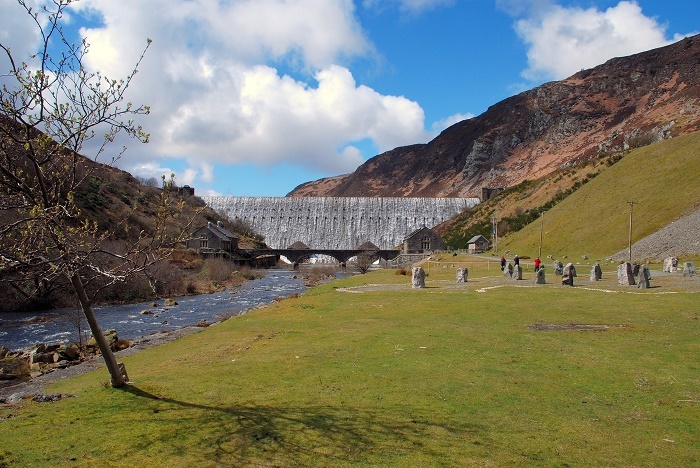 As every dam has different characteristic feature, Craig-goch is the highest upstream of the series of dams, which is sometimes referred to as the “top dam”. 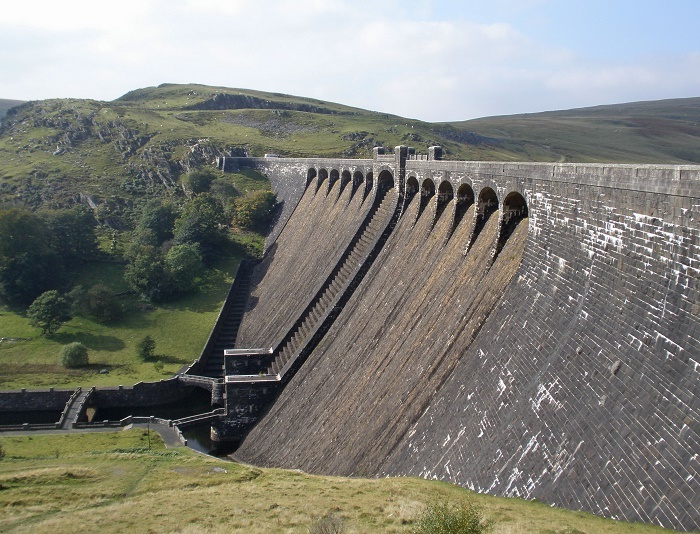 The Garreg-ddu Dam serves a dual role, which is definitely unique one as it is completely submerged dam which plays a vital role in maintaining a constant supply of water to Birmingham. There are also beautiful masonry pillars that carry the access roadway to the neighboring valley. 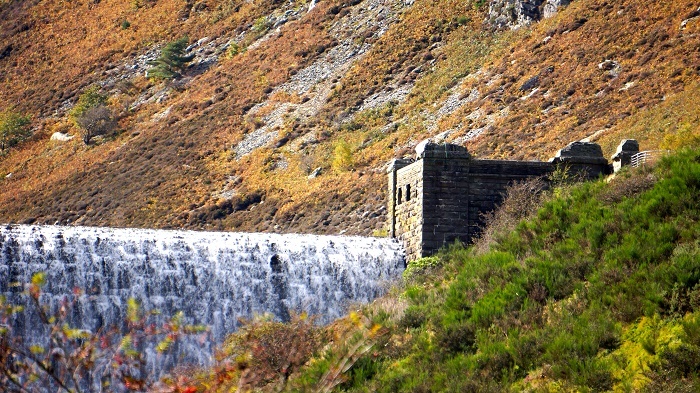 Pen-y-garreg is often regarded as the “middle dam”, and it is defintiely different from the rest of the dams as it is not visible above the surface in normal conditions. 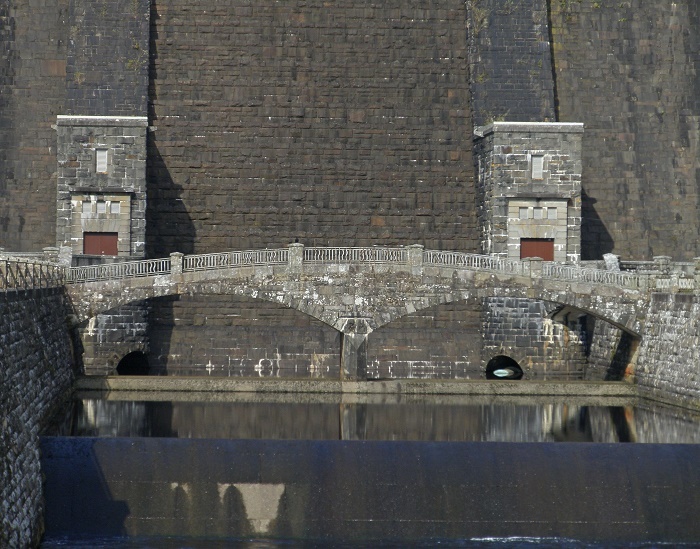 Caban-coch is known to be the simplest one, however, most functional, and when full it resembles a gorgeous natural waterfall that is pouring its water over the dam wall. 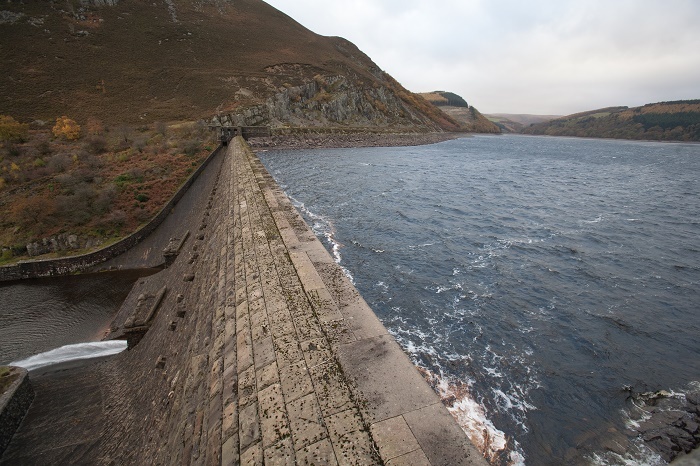 Claerwen Dam is definitely the biggest one, with a height of around 56 meters (184 feet) and width of around 355 meters (1,167 feet). 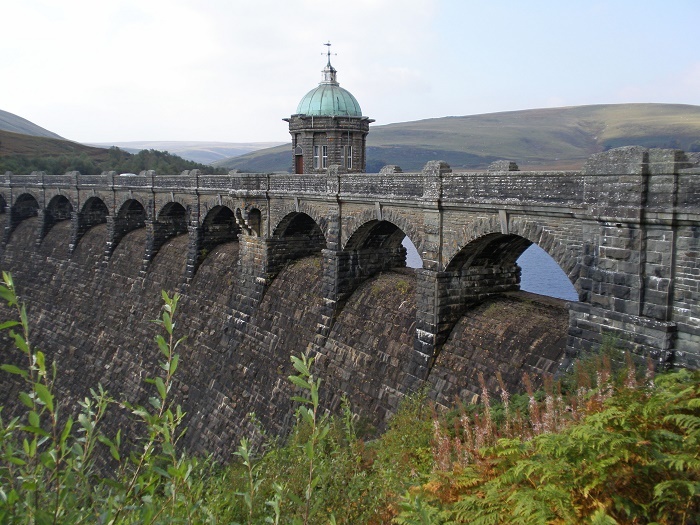 Being newly constructed, right after the Second World War, the designers of the previous dams contacted Italian stonemasons in order for them to decorate the façade, so that it would visually match the earlier dams in the Elan Valley. 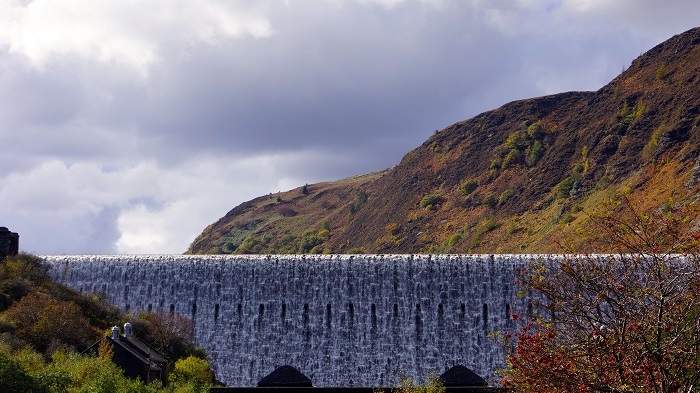 The Dol-y-mynach Dam is the still unfinished one, which when done will create an even more impressive landscape that would be perfect environment for the locals and all those visitors of the UK to enjoy.